We had our office wetting party on Saturday night and lots of fun was had by all. 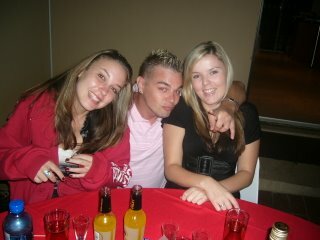 The photo is of 3 of our web designers – Yolandi, Shaun and Charlene. The party eventually finished at 4.30am so there were a few sore heads on Sunday morning, but everybody behaved themselves and Topboss staff maintained their good name!